Welcome to AllBahamasListings! You’ve discovered the easiest-to-use and fastest source of information available about Bahamas real estate for sale. Data and descriptive information on all types of Bahamian properties for sale can be found here: residential, commercial, private islands, and vacant land including beachfront lots. 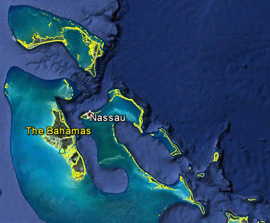 All the popular Bahamas islands are covered: the Abacos, Eleuthera, the Exumas, Paradise Island, Nassau and all of New Providence, Freeport and all of Grand Bahama, Long Island, Cat Island, and several more. AllBahamasListings.com is your entertaining and comprehensive source of Bahamas realty information- but it’s free to use. Thanks, and welcome to the website that helps you own a piece of the islands!